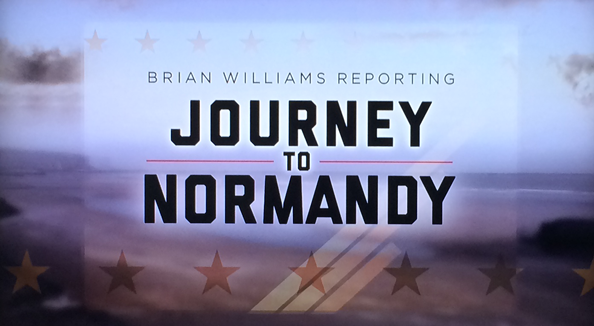 On Friday evening, NBC News aired a Brian Williams-helmed special entitled “Journey to Normandy” as part of its coverage of the 70th anniversary of D-Day that featured a simple, clean look that mixed military imagery with historic photography. 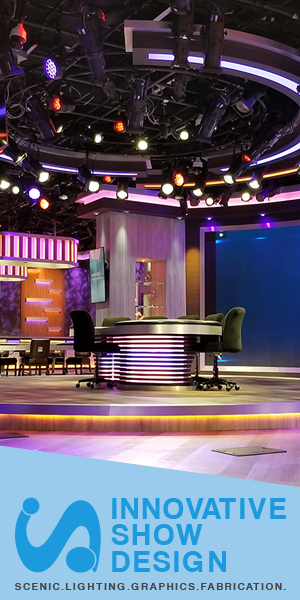 The program’s title card featured bold black letters in a strong, military-inspired typeface mixed with a lighter, spread out accent font. 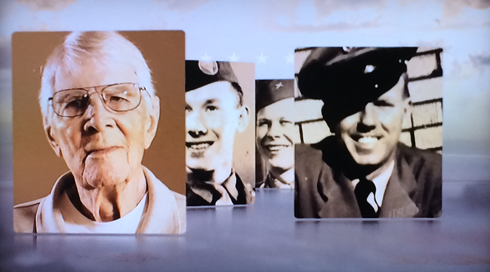 Elsewhere, the package incorporated red stars and gold stripes backed by blurred photography as well as both vintage and modern photographs of the veterans featured in the special’s interviews. These photographs were presented in a 3D space with subtle shadowing over blurred imagery. Mixing bright whites and pale blues with sepia toned photographs and graphics gives the package a historic feel while also conveying the seriousness of the special. 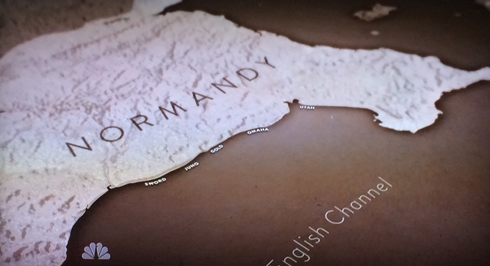 The special also made heavy use of maps that helped illustrate the military operations that took place in Normandy that day. These maps mimicked the rest of the package by utilizing dark sepia for ocean and lighter, shaded textures for the land’s topography. Sparse typography labeled only the key features of the map being shown, making them easy to understand.